We all spend at least a third of our life on a mattress, and we’ve all experienced what it’s like trying to sleep on an unsuitable one. Not only does an uncomfortable mattress affect your sleep, but your whole life, too. The wrong one can lead to relationship problems, physical pain and sleep deprivation. Having poor quality sleep has a myriad of health implications, both physical and mental. Put simply, if you want to live your best life, finding the best mattress is a good place to start. But with so many options on the market, this task can seem impossible. To make a successful mattress purchase, consider things like materials, firmness, sinkage, and bounce. You also need to think about factors which are entirely personal to you, such as sleeping position, your natural body temperature, whether you share a bed or not and other similar preferences. Offering expert help and advice, we strive to help you decide how to choose a mattress in the UK. Let’s start with our mattress reviews of the top options you can choose from and discover our pick for the winner. The Simba Hybrid mattress combines memory foam and springs to bring sleepers the best of both worlds. This also means it is suitable for the vast majority of customers, regardless of sleep style, sleeping position and personal preference in terms of feel. The mattress is constructed with five layers for maximum comfort. The top layer is a hypoallergenic sleep flow cover. Underneath is a layer of Simbatex foam which gives gentle support and cooling. Below that is the layer of springs – 2,500 conical pocket springs which adjust with your body to provide even support. Underneath the layer of springs is the memory foam layer. The base layer is a supportive foam. This mattress is suitable for any sleeping position, as it offers both soft contouring and firmer support. The springs add some bounciness, while the foam helps keep the spine in a healthy position. It’s also ideal for those who share a bed, as it minimises movement disturbances. This option comes in an extensive range of sizes, from a Small Single to an EU Queen. The company offers free delivery on all orders, and the mattress comes right to your door, vacuum sealed and rolled into in a handy box. They’ll even take away your old mattress free of charge. It comes with a 100-night free trial and a 10-year warranty. If you enjoy the features and feeling of memory foam, then the Emma Original mattress may be the most comfortable on the market for you. This option consists of four layers. The top layer is a special climate fibre cover to help regulate heat and humidity. It’s also removable and machine washable. Below this is the breathable Airgocell foam, which gives the soft, contouring feel whilst still being breathable and comfortable. Underneath is the layer of visco-elastic memory foam, which helps evenly distribute pressure. The base layer is a supportive, cool foam. The sides of this option are an attractive charcoal mesh which helps with air circulation and temperature. This item is designed to be suitable for all sleepers, and especially supportive of those who suffer from joint or back pain. It’s also much more breathable than other memory foam mattresses. Better air flow means it is less prone to retaining heat and becoming uncomfortably hot. 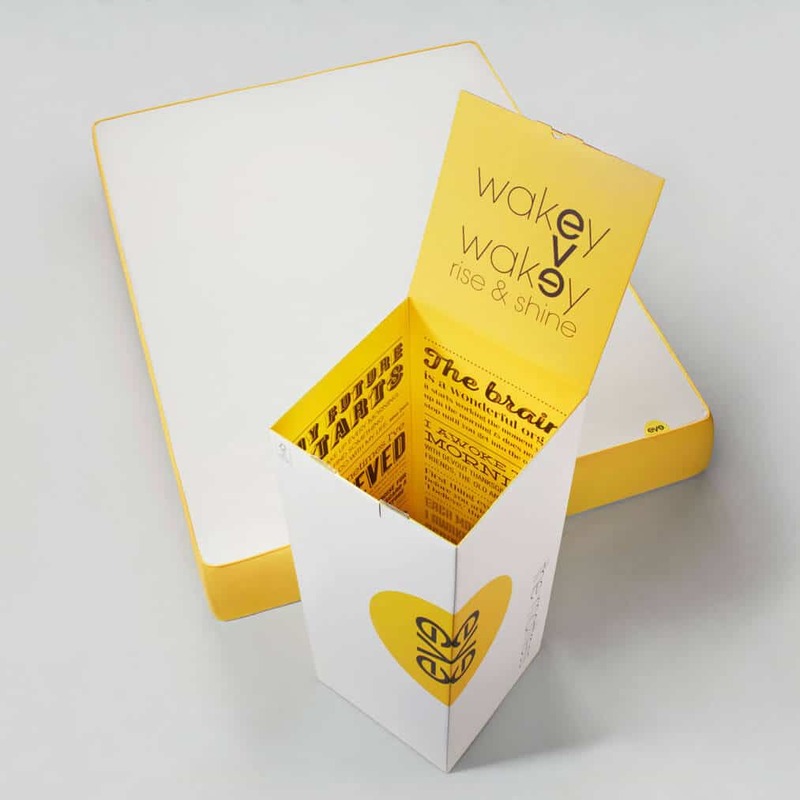 This is another option for a vacuum rolled mattress in a box in the UK. It’s delivered right to your door, and the company offers free delivery and returns. The Emma comes with a 100-night risk-free trial plus a 10-year guarantee. It is also manufactured in the UK, and comes in a range of sizes, from UK single to Super King Size. You can read our full Emma Original review here. 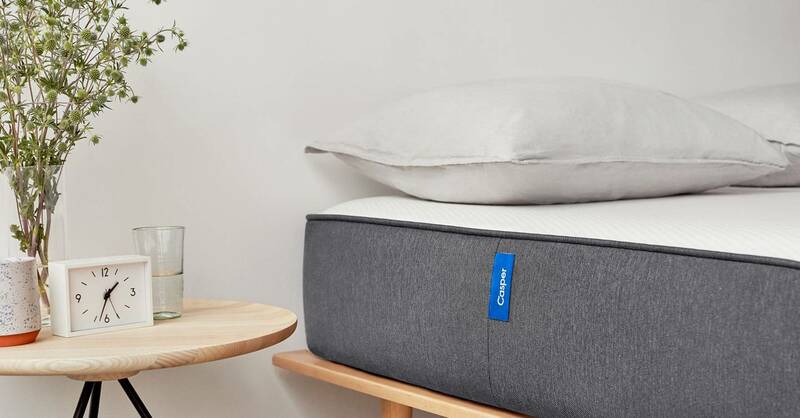 The Casper mattress was one of the first options for buying a mattress online in the UK. Its direct to consumer delivery model can be considered the first of its kind. It consists of four layers of comfortable foam. The open-cell top layer gives this option breathability, plus it adds spring and bounce. 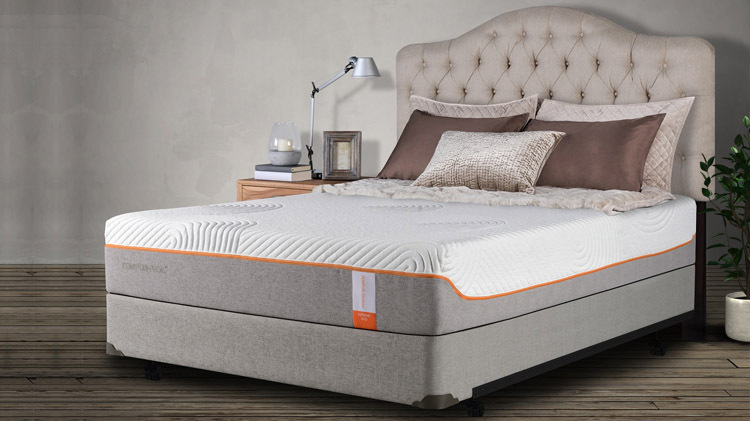 The second layer is high-density memory foam, designed for maximum pressure relief. Below this is what’s called a transition foam layer, which helps minimise the feeling of difference between the memory and the support foam. The base layer gives the item structure, support and durability. It comes in a removable cover, which is excellent for washing and has a sleek design. This option has an open air flow channel to help mitigate any issues of overheating. It’s designed to give the most comfortable and supportive feel to the vast majority of sleepers, making it suitable for most people. The zoned support makes it a healthy choice for those with pain or problems with their joints. It comes in an array of sizes, from a UK Single to a Super King Size. It is delivered to your door and any purchase comes with a 100-night risk-free trial period. The company is known for their excellent customer service, too. Plus, the item comes with a 10-year warranty. The Leesa mattress is another direct to consumer option which offers a comfortable, slightly softer firmness level. 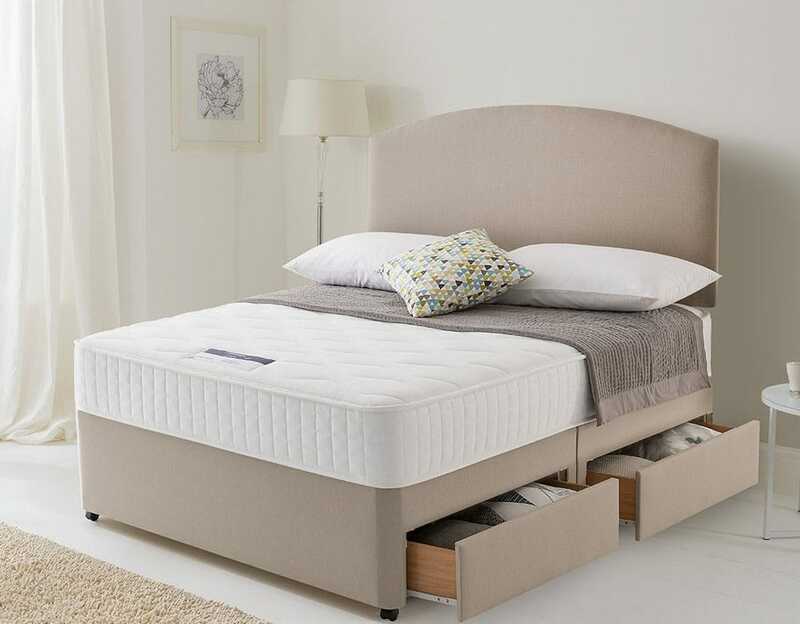 It’s designed to have an adaptive feel and therefore be suitable for most sleepers. It is constructed of three foam layers. The top layer is cooling Avena foam which provides temperature controlling airflow and extra bounce for better movement and adjustment. The second layer is contouring memory foam. This gives the item pressure relief to help protect the spine and joints. The base layer is dense core support, which gives it structure and provides extra firmness. This option has a particularly attractive cover, consisting of a grey jersey with sporty-looking white stripes. The cover is also exceptionally soft and comfortable. The combination of softer, pressure relieving foam with extra sinkage and the firm, supportive base layer means this option has a more adaptive feel. It’s designed to be suitable for sleepers of all sizes and to be comfortable for all sleeping positions. It ranges in size from a UK Single to a UK Super King and has free delivery and returns. The company offers a 100-night risk-free trial and a 10-year warranty. This option is made in the UK. Leesa also partakes in charity work. For every ten mattresses they sell, the company donates one to a person in need. They also plant one tree for every new mattress they sell. The Eve mattress is a better choice for a firmer mattress with less sinkage. It’s designed to be exceptionally supportive and relieve pressure points for every sleeper in every position. It is constructed of three foam layers, with an additional top cover and base. The top layer is made of patented Evecomfort foam, which is designed to be springier and with less sinkage than traditional memory foam. The second layer is the memory foam, which gives the mattress the comfortable sinking and contouring feel. Below that is the base layer, which is made of zoned foam to add more pressure relief for the shoulder and hips. The cover is moisture-wicking, and the anti-slip base helps it feel secure in your frame. This is a fantastic choice for those who have problems with their back or joints. If you wake up stiff or in pain, then this may be the one for you. It also offers superior breathability to minimise overheating and is particularly good for back and stomach sleepers. The Eve comes in a range of sizes from Single to Emperor and even comes in EU sizes. Delivery to your door is easy, and there are risk-free returns. Lastly, it comes with a 100-night trial and a 10-year warranty, too. For those who suffer from sleep-related back pain, the Dormeo Memory Plus may be the best type of mattress. It offers 50% more memory foam to add comfort and support to those with back issues. It is made of three layers. The first is egocell foam, which helps with air ventilation and temperature control. Underneath is a thicker layer of memory foam, which gives it a super soft and comfortable feel. The base layer is a dense support foam, which is what gives it the necessary structure. These different layers give this option a good combination of comfort and support. 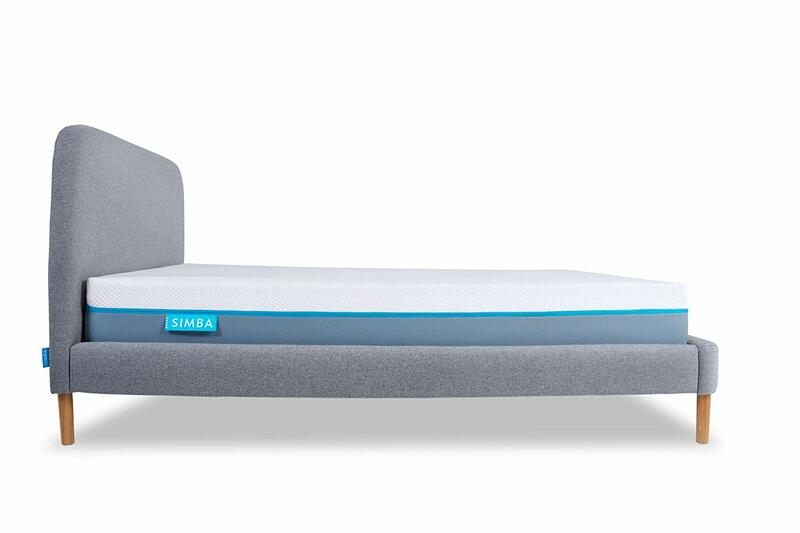 There’s more sinkage than with some other options on the list, but the memory foam does contour and hold the body, minimising the build-up of pressure. The Dormeo is also specially treated to minimise dust mites and any other potential allergens including dust. There are four air vents to help keep it well ventilated. 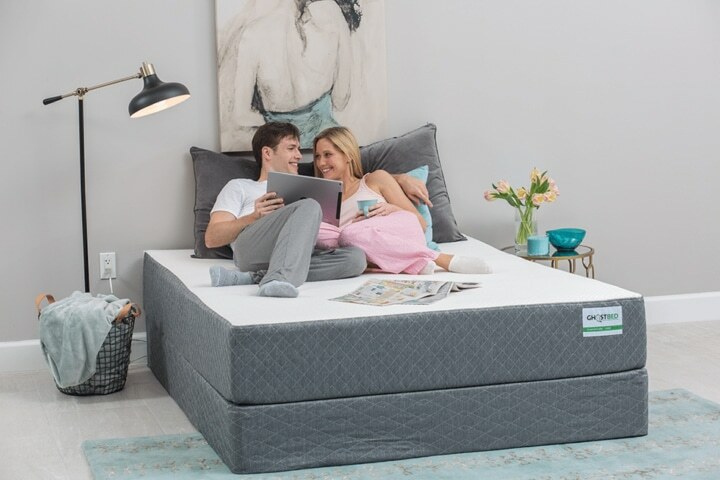 It also offers minimal motion transfer thanks to the memory foam which is great for those who share a bed or have a particularly restless partner. This item comes in five sizes, from Single to Super King. The company offers a 60-day comfort trial, and the mattress comes with a 15-year warranty. There’s also free delivery and returns. This item is constructed of three distinct layers. The top is the comfort layer, which is gel-infused and offers an elastic, bounce-back feeling. This layer also helps keep the mattress cool. The second layer is memory foam, which helps reduce pressure build-up and adequately support the body. The base layer is a high-density foam core, which gives it more structure and provides firmness and support. The cover of this item is approved by Allergy UK. It has a fresh, comfortable feel, too. It feels quite distinctive and pleasant thanks to the combination of the gel-infused top layer and the memory foam beneath. These two, combined with the tailored base layer, give it a good amount of sinkage. For those who sleep on their sides, this allows the protruding parts of the body to sink deeper, keeping the spine in a more neutral position. If you favour softer mattresses, this may be a great option for you. It comes with a 60-night comfort trial and a 5-year warranty. There’s free delivery and risk-free returns. It comes in four size options, from Single to Super King. The Tempur Contour Supreme uses technology from NASA to create an item of exceptional design, construction and quality. If you’re looking to spend a little extra, this may be a fantastic option for you. It is constructed of three foam layers. The first is the comfort layer, which gives a plush, soft feel to this option. The second is support material to relieve pressure and help keep the body in a comfortable position. The base layer is called Durabase and is designed to add durability, firmness and structure. If you like luxury, this option is constructed from top-quality materials and offers superior build quality and comfort. It’s a great option for those with back issues, too. The high-quality memory foams give it a good balance of sink, bounce, softness and support. This makes it suitable for the vast majority of sleeping positions. This item comes in ten different sizes, including four specialist sizes. It ranges from Small Single to Super King. The price point of this option is a lot higher than other options on our list. It comes with free delivery and returns. There’s a 100-night trial period, plus a 10-year warranty. There are also payment plans to help you split up the high price tag and pay it off over time. The Ghostbed mattress is a great option for those of a bigger build or of a heavier weight. It combines memory foam with latex to give a blend of bounciness plus pressure relief. It consists of three layers. The top layer is a quick-responding latex foam, which helps stop you feeling like you’re sinking too far into the mattress. The second layer is memory foam, which offers the sinkage and contouring which helps keep the spine healthy. The base layer of this option is a high-density poly-foam, which gives the item shape and durability. The idea of putting the memory foam layer underneath a firmer, less responsive layer of foam latex is what makes this option particularly good for those of a heavier build. For heavier people, memory foam can offer too much sinkage, causing you to seem “trapped in the mattress.” By placing the foam a layer down, you can get all the spine-aligning and pressure-relieving benefits without the uncomfortable sinking feeling. It has a slightly bouncier feel, which also allows for more natural movement during the night. It can also be easier to get up from in the morning. The Ghostbed comes in four sizes, from Single to UK King. 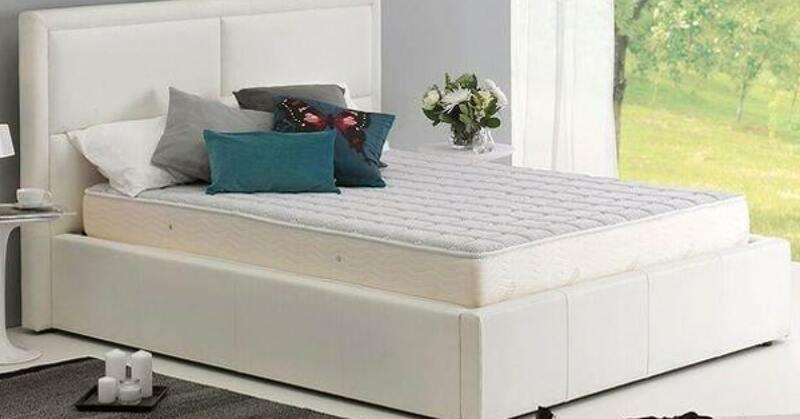 It has excellent mattress reviews online, and comes with free delivery and returns. There is also an amazing 20-year warranty. The overall trend for new mattresses of late has been for memory foam and other hybrids. But springs offer a distinctive feel and a variety of different benefits. The Silentnight Pocket Essentials 1000 is one of the best pocket sprung mattresses on the market. Whilst pocket sprung mattresses in the past had a reputation for being uneven and squeaky, this item is anything but. The individually contains springs offer a supremely consistent feel to it. This also allows for maximum pressure relief. It has zoned support for the shoulders and hips, which helps keep the spine in a healthy position. Alongside the high-quality spring layer, this item has a soft knit cover, which offers a soft feel and an extra layer of comfort. It has a medium firmness, meaning it’s suitable for the vast majority of personal preferences. The cover is hypoallergenic, and the item is breathable and well-ventilated. This option comes in five different sizes, from Single to UK Super King. There are free delivery options available, plus there is a 5-year warranty. There are a few different things to consider when shopping for a mattress. 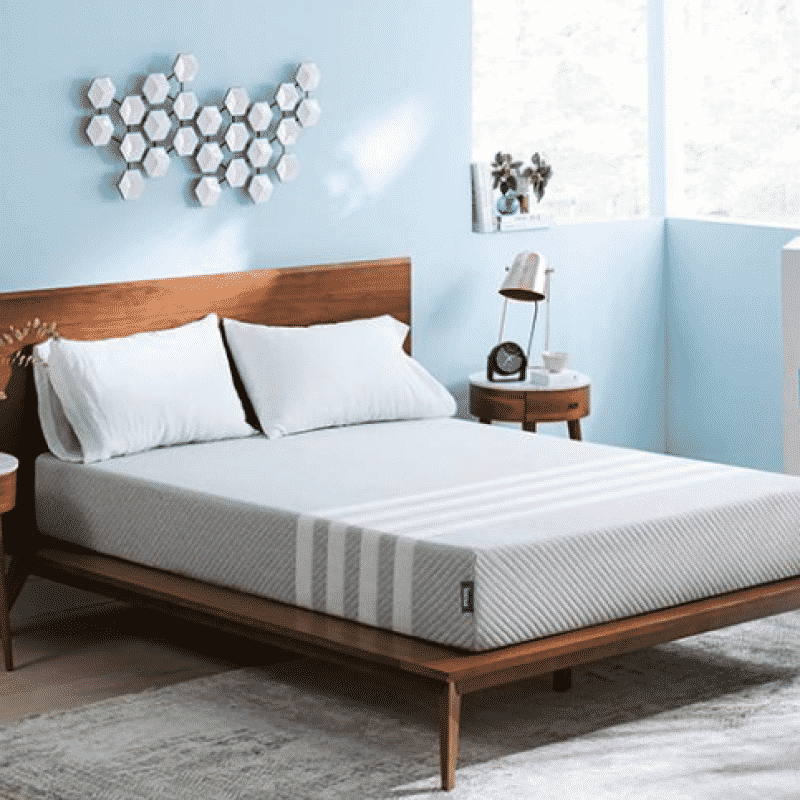 In the below buying guide, we’ll go into in-depth advice on what to look out for to help you find the perfect mattress for your needs. Construction: You first want to consider whether you want a mattress consisting of foam, a mattress build around pocket springs, or a hybrid. There are benefits and drawbacks to both. Foam mattresses tend to offer more support and pressure relief, but very little bounce. Sprung mattresses tend to be, well, springier. A hybrid mattress can provide the best of both worlds, but make sure you get a good quality one. Layers: Generally speaking, a mattress with more, different layers is more luxurious and offers better features. If every layer is doing a particular job, a mattress with five layers is doing two extra things than one with three. Make sure you read up on your chosen mattresses layers before purchase to make sure it suits your needs. Firmness: The feel of a mattress (softness or hardness) can hugely affect your quality of sleep. Something which is medium to firm tends to be quite well-suited to the majority of people, although if you have more specialised needs that may not be the case for you. Give: The amount of give your mattress has is another vital thing to consider. You don’t want to feel like you’re directly on top of the mattress, although nor do you want to feel like you’re trapped within it. Motion Transfer: How much motion transfer your mattress offers is another aspect to consider. If you share a bed, you may want to have less bounce than if you sleep alone. Bounciness in a mattress tends to be a benefit during amorous activities, too. Sleeping Position: The general rule of thumb is: if you sleep on your side, you want a softer mattress with more sinkage and pressure relief. If you sleep on your back, you want a firmer mattress with less sinkage and more bounce. If you’re a stomach sleeper, somewhere in the middle works best. Bed Sharing: Bed sharing is something to consider regarding bounciness, and also concerning edge support. If you’re sharing a mattress with someone who takes up more space, edge support can be important to help you feel safe on your bed. Personal Preference: All of the information in the world won’t help you pick the right mattress unless you also consider your own personal preferences. You must find your mattress comfortable, otherwise, you’ll be sacrificing the quality of your night’s sleep. Budget: While investing in a high-end mattress can be money well spent, don’t go over your budget to buy a mattress. There are many fantastic, affordable options on the market. Buying a mattress online in the UK is a great way to find a bargain. Warranty: Although they can seem like the more boring aspect of new mattress shopping, do try to stay mindful of the warranty. Your future self may just end up thanking you. 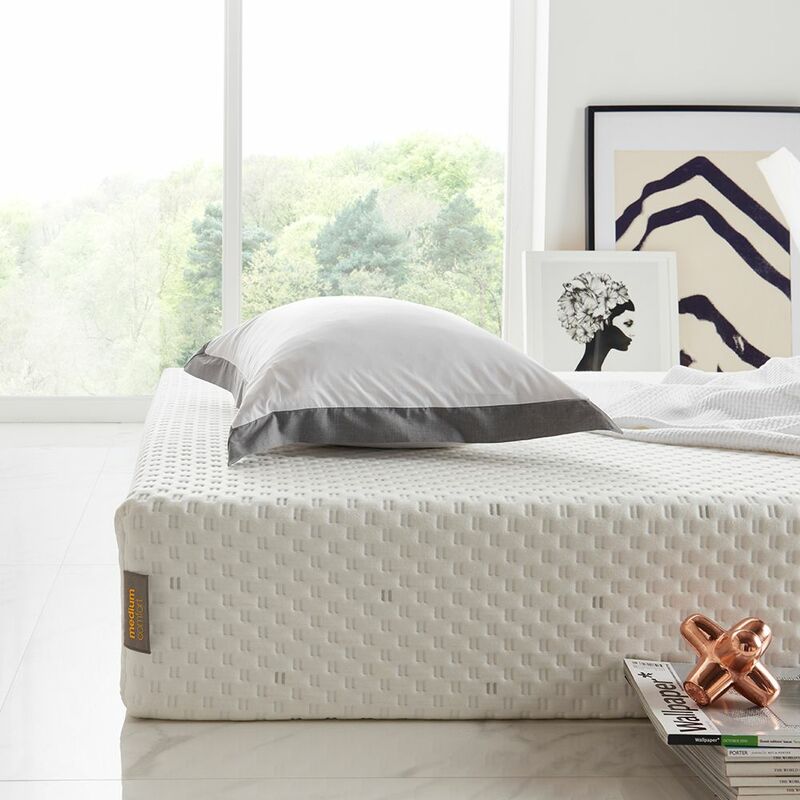 While any of the options on our list would make fantastic choices as the “best mattress UK” category, we feel that the Simba Hybrid is our winner. The way it is constructed effectively helps with spine and joint health while its springs give an added bounce. It also comes in an excellent range of sizes from a Single to a Queen. But one of the most important reasons for choosing is that it offers the most universally comfortable sensation for any sleeping position. What do you think of our list of mattress reviews? Do you have a favourite option? Let us know in the comments below.